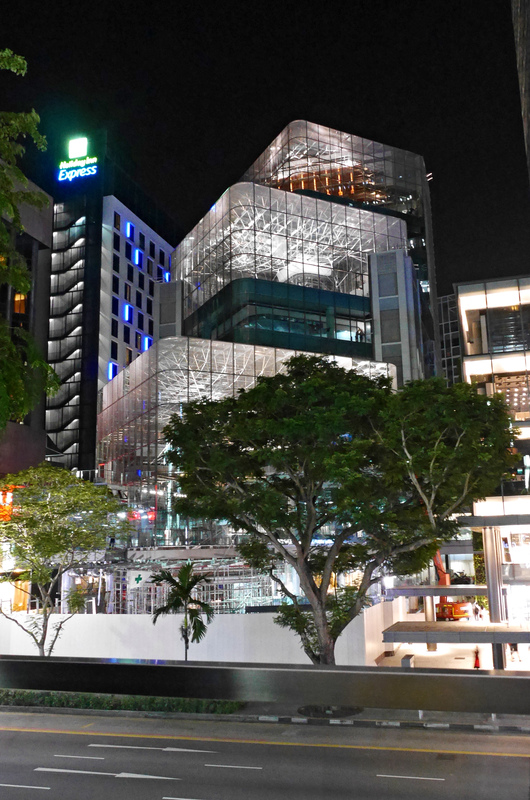 Raymond Woo Architects selected HDA as specialist design consultants for the façades of a new development of shops and restaurants on Singapore’s premier shopping street, for the Ngee Ann City Development Company. 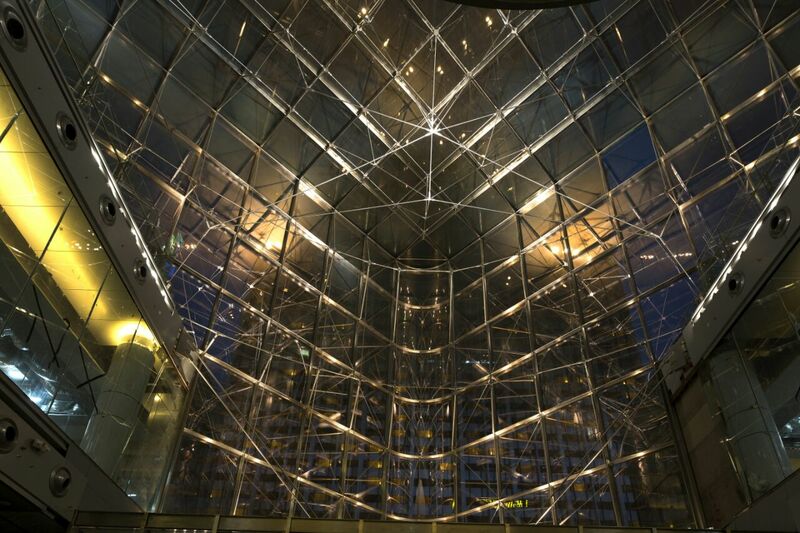 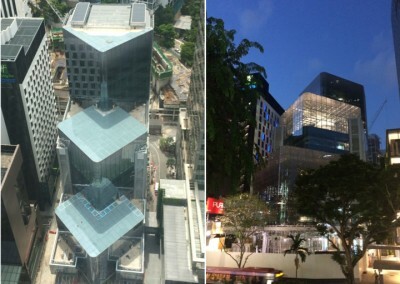 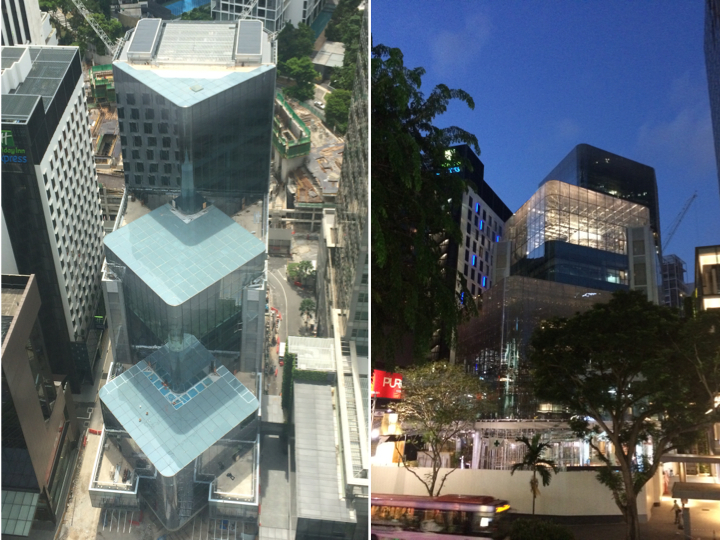 Orchard Road is Singapore’s «Champs Elysées» and, in its competitive commercial context, recent buildings have striven to outdo each other and become more architecturally remarkable than their predecessors. 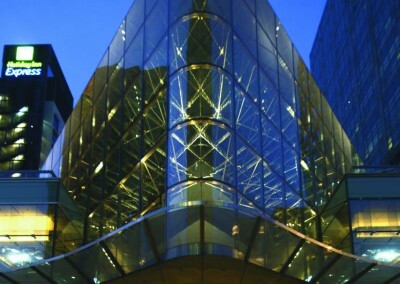 In response to this context HDA has proposed a counterpoint of calm transparency. 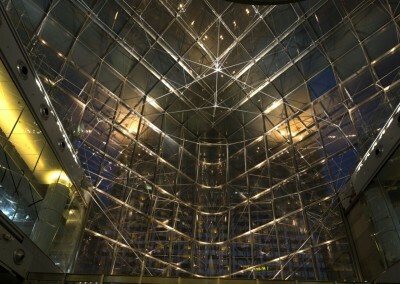 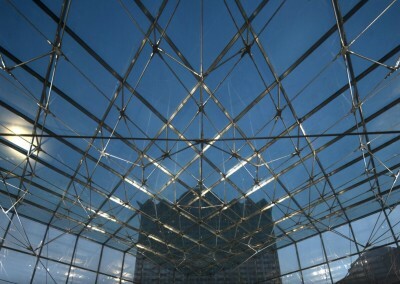 Three successive glass boxes rise up, one above the other, and are set back progressively. 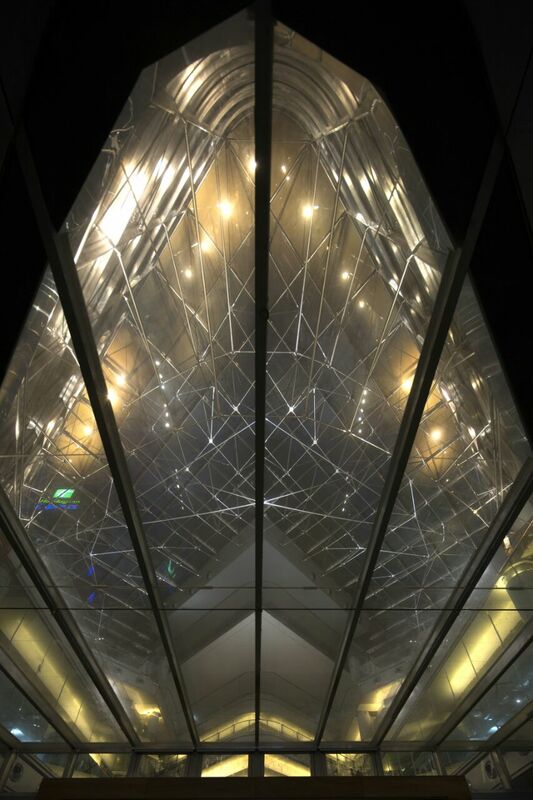 The two upper boxes provide restaurant and shopping spaces, whilst the lowest one opens onto the street, a generous central atrium for the building. 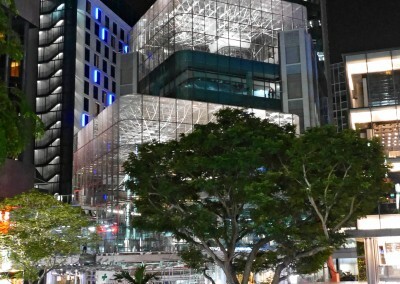 The glass-clad lateral façades provide transparency at all levels, the tenant shops remaining clearly visible from the street and providing animation. 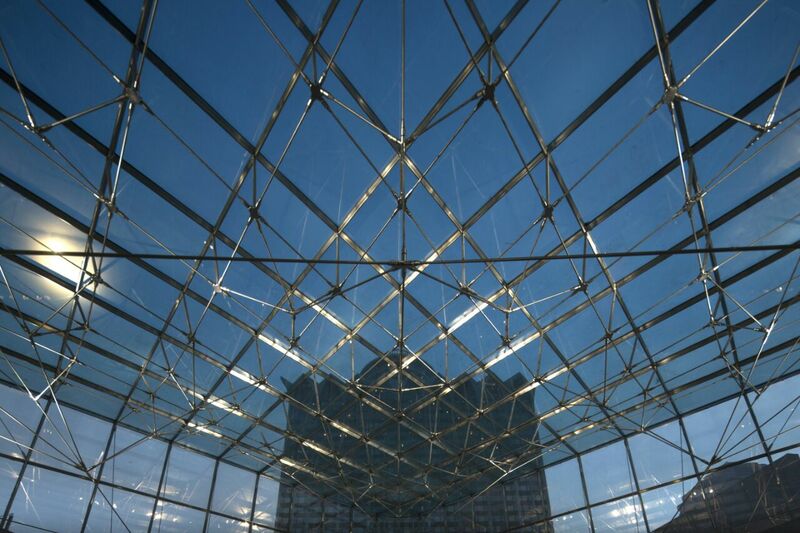 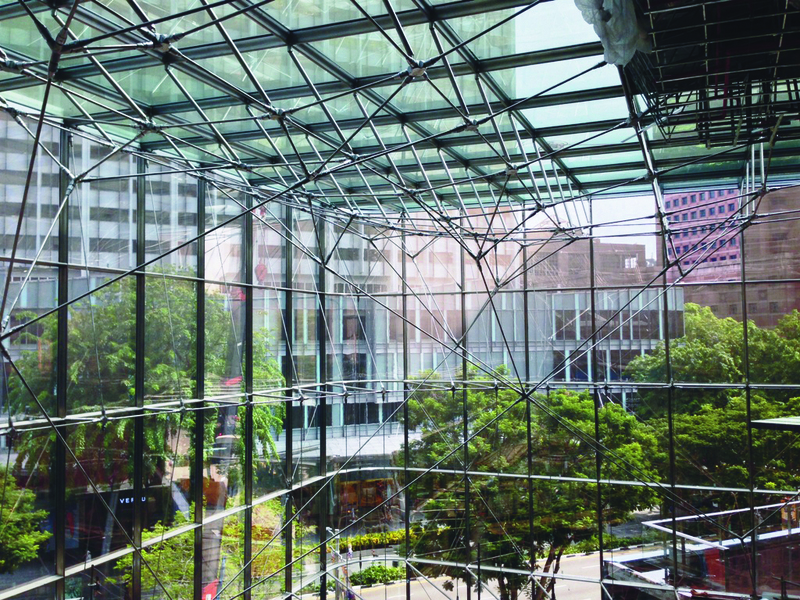 Glass panels are screen-printed to a variable pattern, and roof-top grillage panels provide additional solar protection, as well as providing maintenance platforms. 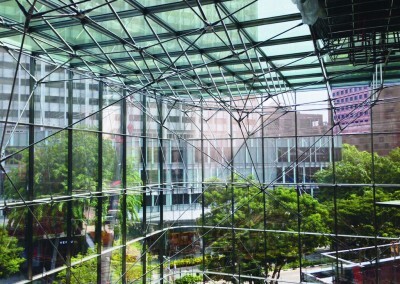 The glass boxes are supported off a slender gridof extruded profiles in stainless-steel, which are braced by a prestressed 3D cable-net with tree-like branching tiebacks. 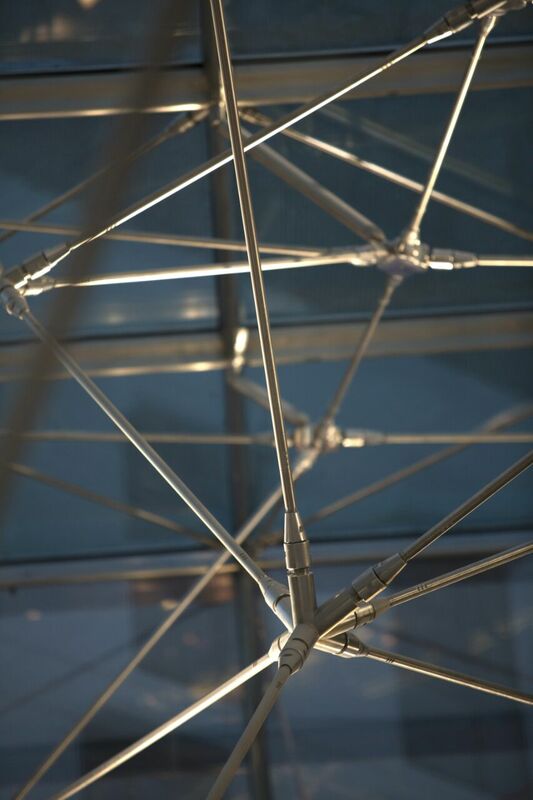 The roof members span 20m, gaining their stiffness from the cable support system and the tiebacks which provide stability against wind loads. 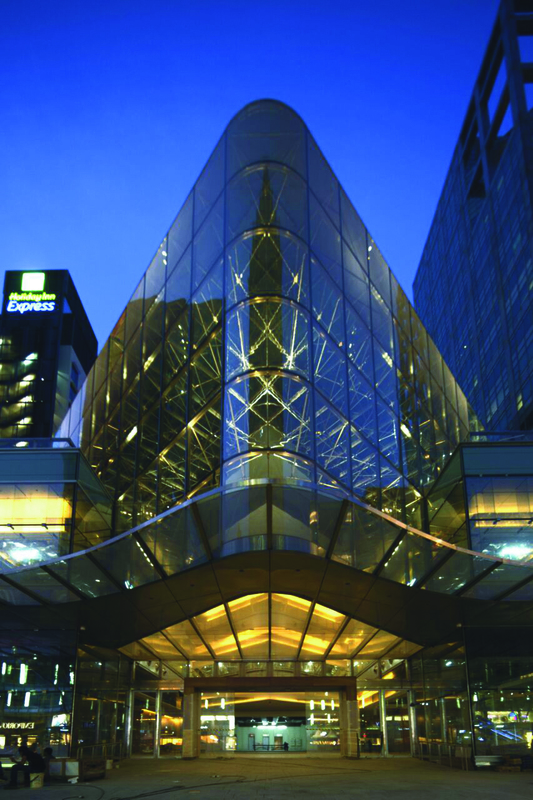 The facades are also configured with a prestressed mesh of vertical cables and horizontal counter-cables. 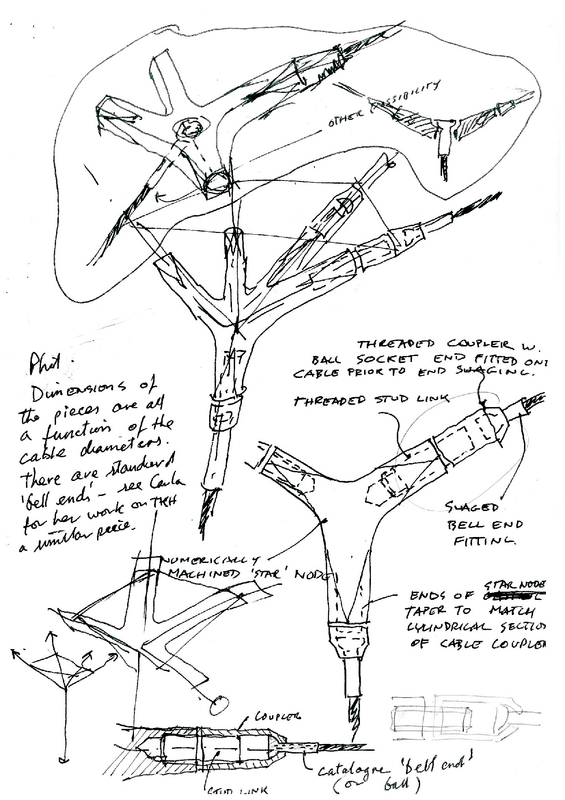 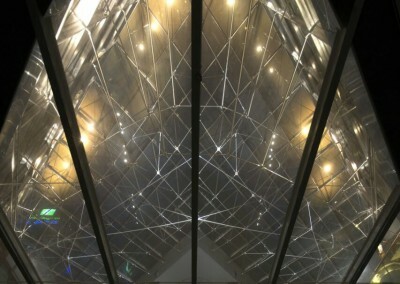 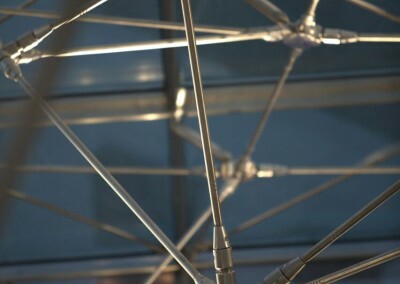 For the project, HDA developed a form-finding program first to define, and then to optimise, this cable-net geometry.